The word ‘Humanoid’ arises from English human and –oid “resembling”, means something that has an appearance resembling the human beings. The term was first coined back in the year 1912 to name the fossils that are morphologically similar to human skeleton. And we are past that long back, where now this particular term means a lot of things but not a fossil of organisms. In fact this is the most common word that all the tech enthusiasts and innovators use today to define the growth of robotics technology and where this is leading us to. Now, the robots that can be referred to anything that is unique to human characteristics like walking on two legs, facial expressions, possessing apposable fingers or even adaptation capabilities are termed to be humanoid robots. And all the top tech companies of today are investing a lot of their money in researching about the humanoid robots to make them better and reliant. In the recent past, the Institute for Human and Machine Cognition in Florida just unveiled its ‘Planar Elliptical Runner’ and this robot is all mechanics. It is an advanced robot where a single motor in the middle drives the legs in an elliptical motion and side-to-side motion, which means the robot will be inherently stable when running (won’t fall forward or backward). With such kind of innovations happening around us in the field of humanoid robotics, it is essential that all the budding engineers should know about them and realize the technological advancements going on currently. So I decided to write this article to give you some insights about the advancements happening in the robotics industry and enlighten you with the facts. 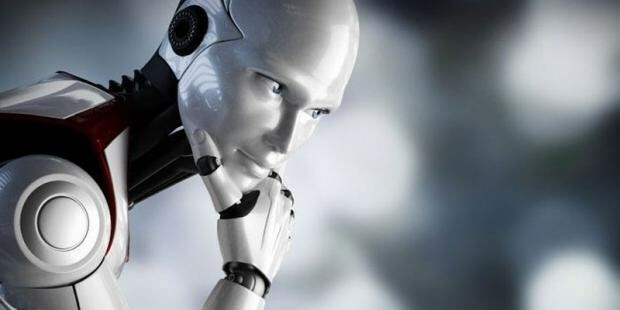 Why the research on humanoid robots is very important? One of the main aspects of robot’s existence is to help and assist human beings on their tasks. And for some activities we need a machine that can mimic humans and carryout the activities effectively. For instance, the cities, streets and a lot of industries are designed for beings that can walk on two legs. Having machines that has wheel embedded onto it cannot move on stairs, commute in complex paths etc. Humanoid robots are very much needed to fully operate in our society, assist or replace certain human jobs and walk around the place with same ease as humans do. And building a robot that has the wheels for navigation is fairly simple but building a robot that can walk on 2 legs is very complex. Yes, walking motion of robots is more complex than what we actually think. A single step would require the researchers to use nerve signals from the entire human body to figure out the position of the foot, slope of the ground, relative position of the knee and hip with rest of the body, balancing the weights side-to-side etc. We are gifted with an advanced microprocessor (Brain it is, thank god) to perform numerous calculations in under a second and give out the instructions to various parts of the body for actuation. This helps us to walk without falling down. Achieving this with robots is really a complex challenge and a lot of companies need to spend sophisticated time and money on this problem to come up with an efficient solution. So, what are the current developments in humanoid robots? Although there are a lot companies involved in researching about the humanoid robots, some of the notable ones among them are: Honda, Boston Dynamics, PAL Robotics and Agility Robotics. Honda has been a leader and a pioneer in the field of humanoid robotics and we heard about their achievements in the biped mechanism in the 1980s itself. They are also known for their technology stint which they carried out in early 2000 where they showcased the humanoid robot “ASIMO” that is capable of walking slowly without any support mechanism. After the success of this, they improved the version of ASIMO a lot by making it more autonomous with external recognition capacity. The performance of it has improved vastly over the years, making it faster, stable and agile. Honda is mostly concentrating on making this robot to help people in need and is very sure that the humanoid robot will be available for commercial use in another 10 years. Boston Dynamics, the most widely recognized name in the field of robotics today and we had witnessed some amazing robotics innovations done through this company. The company mainly concentrates on building robots that can assist in military-related activities. In the early days, they invented the BigDog, a quadruped robot that can run on 4 legs. After the company was bought by Google, the most recent robotics development is their Atlas Robot in 2016, which amazed the world by walking on uneven ground, lifting the boxes from the ground and resistance towards knocking down from its feet. The company is now fine-tuning this robot to make it more stable for industrial usage and very soon we might see these robots going to work on streets like we do. PAL Robotics, a Spanish company that has been the leader in the industry is also developing biped robots. As a recent development, the company has unveiled the TALOS – a biped humanoid robot that is capable of walking upto 3 km/hr and can even commute on uneven grounds. It can also lift weights upto 6 Kg in each arm. The company’s main objective is to make the robot carry out the activities that are dangerous for human beings. And they are very positive that this robot will come into existence within the next five years and work with people side by side in industries. Agility Robotics is a new startup that originated from Oregon State University. This company made an innovative change in the biped mechanism, where instead of making the robot to mimic the walking action of humans they made it to mimic the walking action of the birds. This makes the robot to be capable of dynamic walking, running, sitting and stabilizing itself when pushed or knocked over. The long-term vision of the company is to have these robots help us during disasters and assist in logistics. What is the future of such humanoid robots? These humanoid robots can move easily in complex paths, climb ladders, carry huge weights, and withstand radiations and other harmful rays, making life of human beings easy. These robots hold a very strong future among us. In future, there will be delivery robots, home aid robots, rescue robots, industrial robots etc and their existence among us will be inevitable. Even though there are a lot of advancements happening in the drone industry to carry out logistics activities, we still need a robot to deliver it to us. And there is a great scope for the humanoid robots as they can literally replace the monotonous activities that are carried out by humans. What you can do to get started with humanoid robotics? As this is an upcoming technology, you can’t really enroll in a degree on humanoid robotics to get skilled in them. But you can get acquainted with this innovative technology by building working projects. You can start by building some simple humanoid robots like biped walking robot (link), robots that involve kinematics concepts etc. You need to start learning about these concepts as early as possible to stay with the technological advancements. And building projects on humanoid robots is an excellent way to get started with this field. In case, you want to build your own humanoid walking robot but don’t know where to start, we at Skyfi Labs have developed an innovative learning methodology through which you can learn to build a biped walking robot right from your home with 100% output guarantee. With the complete hardware kits shipped to you and 1-1 technical assistance provided, learning to build your very own humanoid robot will never be tough. Do let us, what you think about the humanoid robotics advancements in the recent past by commenting below.